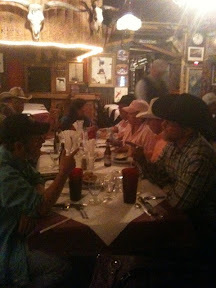 We all went out for Cole's birthday last night in Cody at Cassies. It was a nice place with a live band. Food was good - company was even better.